The period following the Roman exodus is thought to be one of relative prosperity, as the tax revenues were no longer being paid to Rome and remained in the local economy. However, with a lack of new coinage, town dwelling deteriorated and the country began to revert to a rural economy. British rulers divided the country into many small kingdoms, but the leadership were considered opulent and ineffective. A factor dividing the land into smaller parcels was the Celtic practice of dividing an inheritance across all sons, not just the eldest. 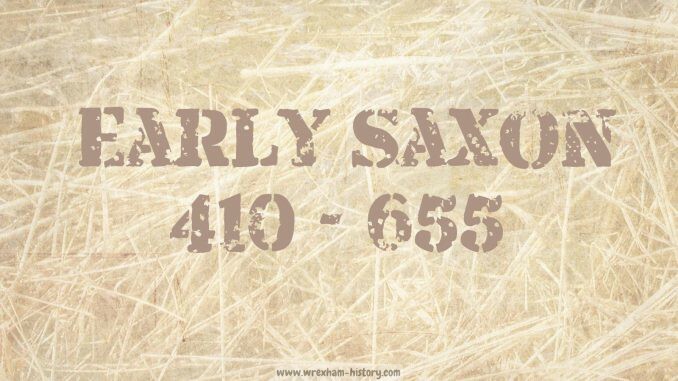 The Saxons had initially been invited to the south east of Britain as mercenaries to help protect it from pirates during late Roman times. From about 440-450 they started to arrive as settlers. To what extent they were conquerors or simply economic migrants has been widely debated. Early chroniclers describe ‘rivers of blood’, but modern genetic studies show that 75% of the female genes remained Celtic, suggesting the Saxons simply absorbed the local population. 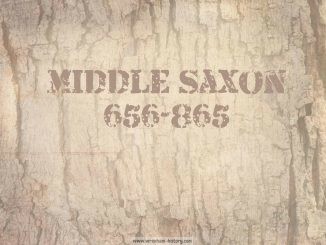 But male Y-chromosome studies show up to 95% of the male genes in the English population are Saxon. The prevailing ‘economic’ theory for this is that Britons were a sub-class during early Saxon times, marginalised and poor, discriminated against in law, and raising few children. In contrast, the wealthy Saxon men took Celtic wives and raised large families. 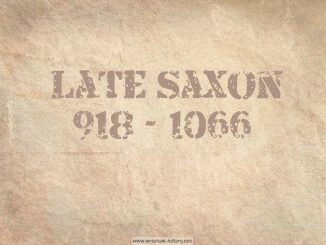 An alternative idea is that the British tribes of the south-east had more in common with their Belgian ancestors than the Celts, and the Belgian Y-chromosome is indistinguishable from the Saxon. Mercia established a fortified settlement at Tamworth as its capital by 584. However, now, it did not extend further west than Staffordshire; and the pressure of invasion against Pengwern was coming from the Saxon Hwicce in the south. The monastery at Bangor-on-Dee may have been part of Pengwern. The local British kingdoms formed an alliance to fight against Northumbria, which started well, but ended with a disastrous battle near Chester in 613, which resulted in the abandonment of the monastery at Bangor-on-Dee about 615. After this Pengwern was isolated from further British support by Hwicce in the south and Northumbria in the north. Power shifted from Powys to Gwynedd. A further alliance between Gwynedd and Mercia again started well, but ended with defeat by Oswy of Northumbria in 655. British control was forced west of the river Dee and, in a power vacuum, Saxon settlers began to move into Pengwern which further split into the subkingdoms of Wroconset and Magonset. Chester moved from the control of Powys to Northumbria, although it is thought to have been largely abandoned with only a small population. This was the end of the period when both parts of Flintshire were unified within Powys.